Diabetes affects more than 10% of adults in Nebraska. If left uncontrolled, diabetes may lead to more medical problems, such as blindness or kidney disease. 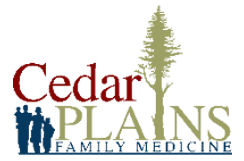 If you have diabetes and need help managing your blood sugar, Dr. Spohn at Cedar Plains Family Medicine in Hickman, Nebraska can help. Call today, or schedule an appointment online. Diabetes is a chronic medical condition that occurs when your blood sugar level is high. The sugar found in your blood is your body’s preferred source of energy, it provides the fuel you need to brush your teeth, run at the gym, and keep all your body processes, including brain function, working. Insulin, which is a hormone, helps the sugar get from your bloodstream into your cells. If you have diabetes, it’s usually because you don’t make enough insulin, known as Type 1 diabetes, or your body isn’t properly using the insulin you do make, known as Type 2 diabetes. Type 2 diabetes is more prevalent than Type 1. Diabetes symptoms vary and depend on the type. If you have Type 1 diabetes, your symptoms may be extreme and noticeable. However, if you have Type 2 diabetes, the symptoms may be less noticeable, and you may not even realize what’s happening for years. Getting your blood sugar levels checked at your annual physical at Cedar Plains Family Medicine can help you stay on top of your health. If you’re experiencing these symptoms, call or schedule an appointment online at Cedar Plains Family Medicine for an evaluation. A blood test can determine if you have diabetes. There is no cure for diabetes, but you can manage your blood sugar to reduce complications. Dr. Spohn at Cedar Plains Family Medicine work with you to develop a treatment plan that fits your health and lifestyle. You may be able to control your blood sugars by eating a healthy diet and making exercise a regular part of your routine. However, if you’re struggling to manage your blood sugar with diet and exercise alone, medication may help. More than 35% of adults in Nebraska have prediabetes, which is when your blood sugars are higher than normal, but not high enough to be diagnosed with diabetes. If you have prediabetes, you’re at risk of developing diabetes. But unlike diabetes, prediabetes is reversible. Losing weight, eating a healthy diet, and exercise may help prevent your prediabetes from turning into diabetes. For medical assistance with weight loss, Dr. Spohn may be able to provide assistance at her second practice, Bella Wellness & Aesthetics. For management of blood sugar and diabetes, call Cedar Plains Family Medicine, or schedule an appointment online.